Video: You know how in pretty much every movie about a religious exorcism there’s a moment where the people facing off against insert demonic presence of your choice here try to... just pray the evil away? And it doesn’t work? Why don’t people see that coming? Not us, as in the audience — it’s enough of a trope that we can see it coming from a mile away. 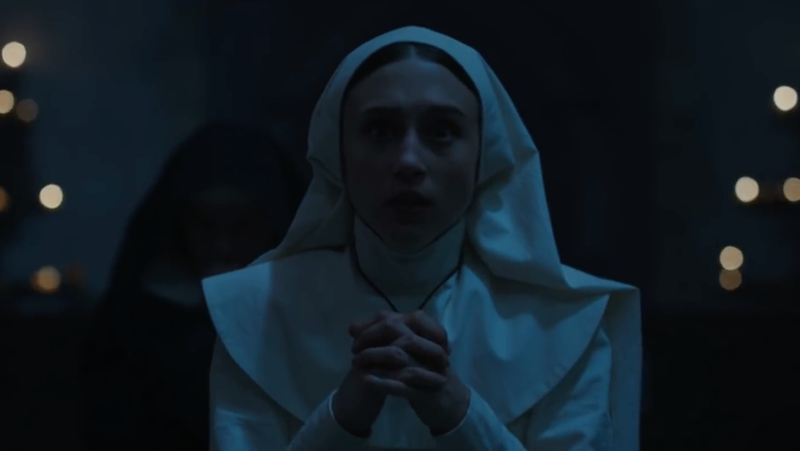 Rather, the poor Romanian nuns in Warner Bros.’ upcoming The Nun don't seem to have thought this particular bit through. 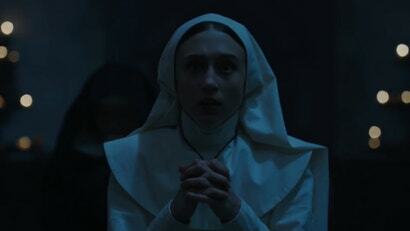 The movie’s latest clip focuses on the sisters praying valiantly to keep the titular demon Nun at bay. When all of the candles in the convent begin to blow out and all of the nuns begin frantically praying, you have two options: Add your own prayers to the mix or run like hell. Again, though, we come back to this core issue: How many people do you need praying in a room to effectively ward off a demon? These are the things one would imagine the Vatican would have protocols for in the event that a possession or haunting began to take place in one of its houses of worship. Then again, maybe it’s a matter of the prayers’ potency as opposed to the volume. Three strong-willed nuns might be able to do what a handful of their justifiably terrified sisters might not, for example. In any case, it’s probably best that you brush up on your Latin and stock up on holy water before The Nun premieres on September 6.